Seafood is healthy for a diet, and with the continued drive toward healthier eating, the seafood market is dynamic and growing. Whether you are a seafood supplier or processor, you are well aware of food safety challenges especially when your product is often sold as ready-to-eat. 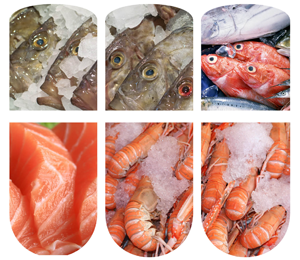 Seafood challenges include handling, shelf life, controlling bacteria and eliminating cross-contamination. Controlling pathogens such as Salmonella and Listeria are an absolute necessity or these and other opportunistic bacteria could result in product recalls and the loss of brand equity. Implementing a HAACP-based food safety program and following the principles of the Global Food Safety Initiative are necessary to control pathogens and meet the requirements of your customers. Our HACCP-based BrandGuard® Food Safety Program offers solutions to the seafood industry across all aspects of food safety including brand protection and sustainable solutions.